How about Shanty @ Chic's amazing craft table? Can you believe she even made this herself?! 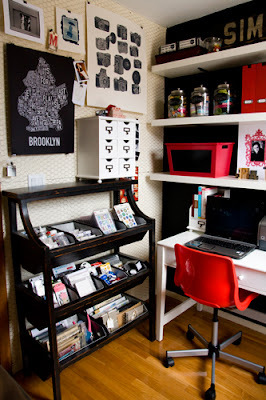 I still can't believe that Sandra from Sawdust and Paper Scraps built her own entire craft room! Let's be honest, we don't all have an extra room in our houses! Am I right?! 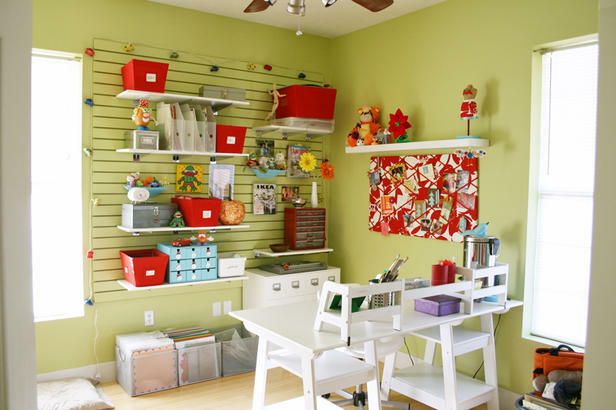 Can you believe that this craft room is actually a closet?! You have to see it at Bug Juiced to believe it. Making This Home created a lovely tiny craft room out a closet, too! So impressive! Even if you don't have a room--but more like an unfinished basement (if we have more kids in the near future, this will be me! 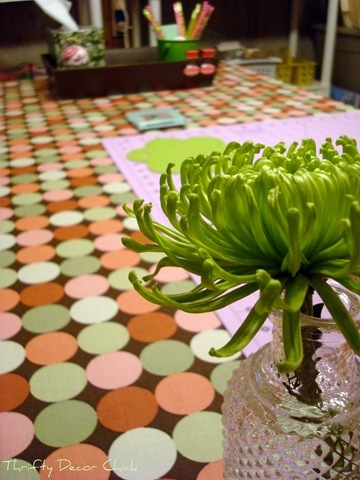 ), you can still make your creative space fun! Check out the amazing Thrifty Decor Chick's craft room. 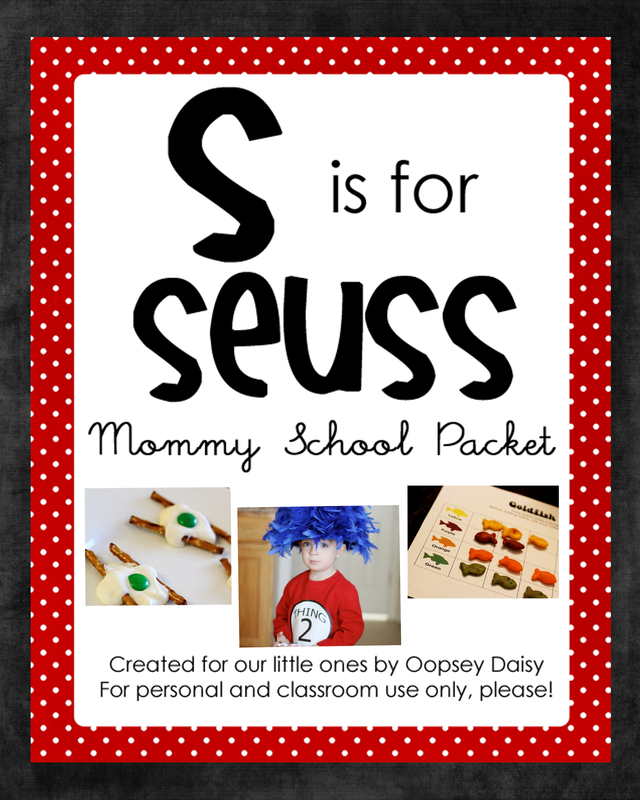 I know I spotlighted this craft room from I Am Momma... Hear Me Roar, but it's worth looking at again! I am totally having a relaxing chair in my corner too, for my own little space! I have this SAME organization set for my craft room... but I do not have the lovely option of painting my walls a nice, contrasting color. Don't you LOVE Shelley's (House of Smiths) style?! I LOVE all of the organizational tips from This Blessed Nest. 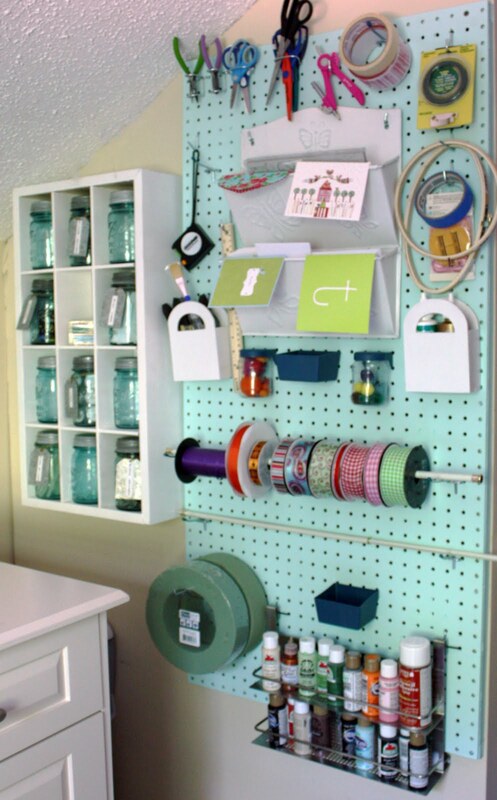 I especially love her peg board--because I just bought and painted mine! This gives me ideas for how to set it up! I love red, black, and white! 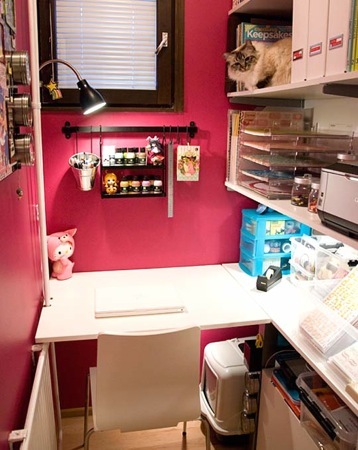 So this craft room really appeals to me! You can see tons of amazing details at Candice Stringham Photography. Get out! 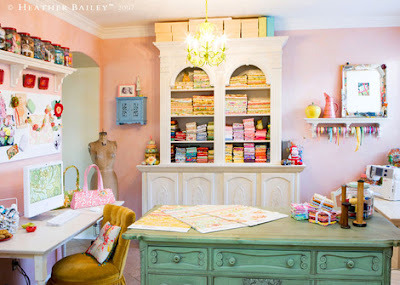 I love everything about this craft room--the colors, the organization! I'm happy just looking at the pictures! Thanks, Crafty Intentions! HGTV has a whole series of craft room pictures and tips. I am definitely studying these! I WISH I had a room of this size--and the ability to paint in fun colors like Jenny from All Sorts! 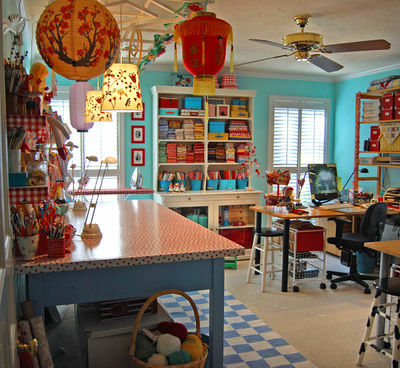 This craft room is utterly amazing, and the colors scream creativity! Heather Bailey anyone? Well, we can all dream, right?! In the mean time... this is what my craft room looked like a few weeks ago! I've been chipping away at it, little by little, but it needs a little TLC! 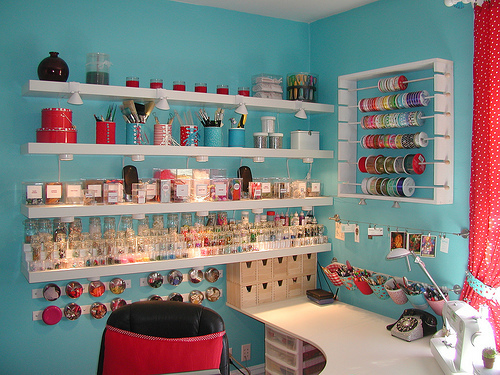 Do you have a favorite craft room? Leave me a link! I already LOVE that cute curvy dresser! Thanks for all the inspiration! A few weeks ago, I gave my husband the back bedroom. 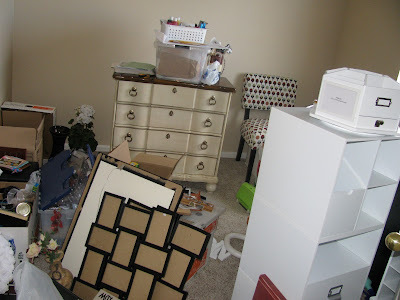 It was supposed to be my craft room, but since I like doing most of my crafts in the living room, the back room became filled with more and more crap. So now he has his very nerdy man cave (no pants allowed) and I'm in the process of fixing up a corner of the living room for myself. I love the pegboard idea, and already have one purchased and ready to hang up, but just need some help so I don't end up just tearing big holes in the wall. my favorite craft room is actually my own craft "area". we don't have space in the house for me to have my own room so I got half of our office. i've spent 6 months organizing it and it's finally done! I should have looked at these before I reorganized my craft room. I just finished it. But you can do it! I felt like after we moved in that I would never get it set up. I loved all these photos! I don't have a craft room – I take over the dining room. 🙂 But it sure is fun to dream! I would love to have ANY of those spaces! Super jealous of your new room and can't wait to see what you do with it! I love all the craft room eye candy, but the room hubby built for me in the basement is my favourite since it's the one I can actually use! He's not a carpenter my any means, but he put a lot of love into the room and it's my favourite space in the house. Oops! Suppose I should link! Oh, I love the closet, complete with cat. Oh yah, I've been drooling over Heather Baileys studio for a while too! But look at all of your great stuff–that little dresser with the bun feet is so GREAT! and I see a lot of really great components…your space will be just as amazing! Thanks for the inspiration, can't wait to see what you create! 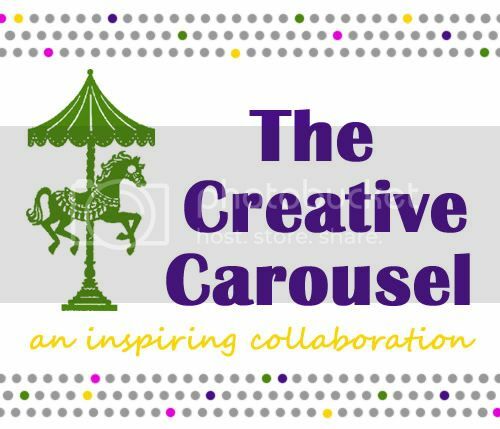 PS My sis in law Annie told me about your crafty blog, that's how I found you! oh wow! look at all of these lovely room & ideas! 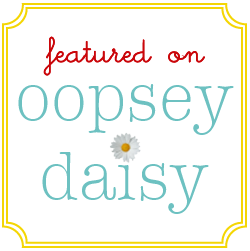 thank you so much for including me in such a list of inspiration! i feel honored. thanks again for the shout out! I wish I had one! That made me laugh! I don't have a room, just a wish list! 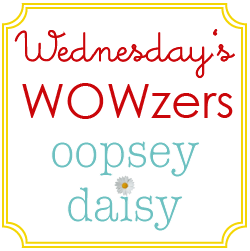 *Sigh* This week I came thisclose to having my dream of a craft room come true. (And of course, a beautiful home.) What a let down when it all fell through. I bawled all night – maybe someday I'll have one of those gorgeous rooms. For now, I'll keep on dreaming. What a wonderful post! I'm so inspired. Hope you like it! It's not completely finished yet, but it's getting there. I usually find I get my projects 90% finished, and then move on to something else.